Going to the capital city and looking for a stay with a spunkier side? Cinema and caricatures rule this regal spot. It's a storied spot with plenty of history and style, as well as packages that offer a twist on the usual hotel scene. HOTEL PACKAGES? They can offer a potential guest a free night, once that guest has stayed for two or three evenings. They can offer a deal at a local restaurant, once you've paid for your accommodations. And a package might swing a complimentary breakfast, or perhaps an in-room amenity like cheese and crackers. But finding packages that are rather more unusual, and locally focused, can be rather more challenging. And while those complimentary cheese trays can be swell, certainly, it is very nice and always memorable to connect with a city via its specific character, history, and individual qualities. 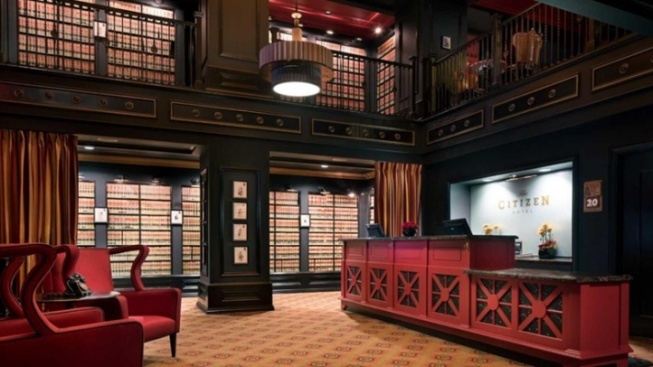 THE CITIZEN HOTEL... in Sacramento embraces the atmosphere of the area, in a few ways. Look to the history-laden spot's package roster for proof of that. Not only is there a Lady Bird Movie Package, which gives fans of the 2017 insight into where the film was shot (as well as several goodies that pay homage to the story), but there's a package paying tribute to Jack Ohman, the Pulitzer Prize-winning editorial cartoonist for the Sacramento Bee. In fact, if you book this package, Mr. Ohman will create a caricature of you, which is truly a one-of-a-kind package perk, something you'll only find at The Citizen. FOR THE FULL LINE-UP... of different ways to package it up at this handsome hotel, click and peruse now.